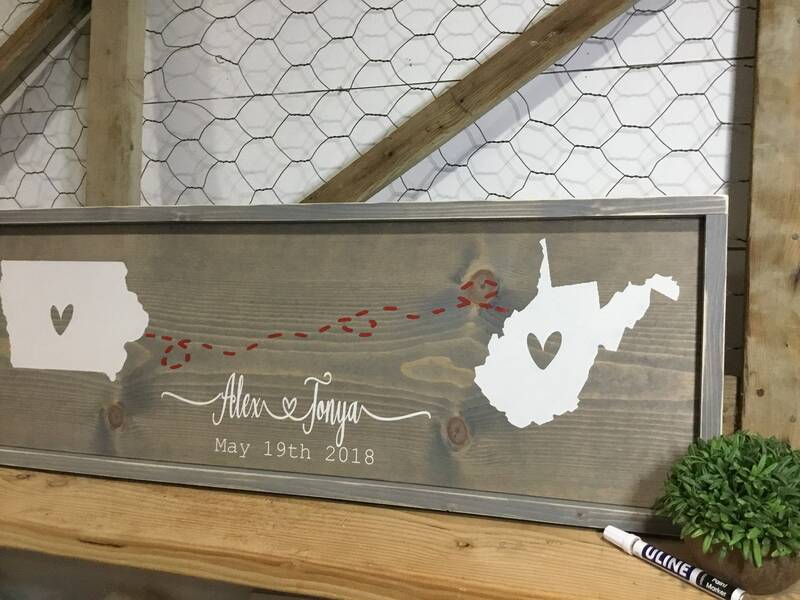 Have your guests sign this rustic hand painted wood guestbook and forever keep the messages hanging in your home . Pictured is a grey stained pine board framed with a rustic grey and white STATEs of your choice . Well worth the money! After it arrived we found it too beautiful to actually let anyone sign it as a guest book. It will be on display at our wedding and then make its way to a wall in our house. It turned out just how I imagined. Thank you. LOVED THIS! In fact, I loved it so much that I wish I hadn’t used it as a guest book lol. It’s so beautiful that people’s signatures took away from it and I may buy another (plain) one to hang in the house!